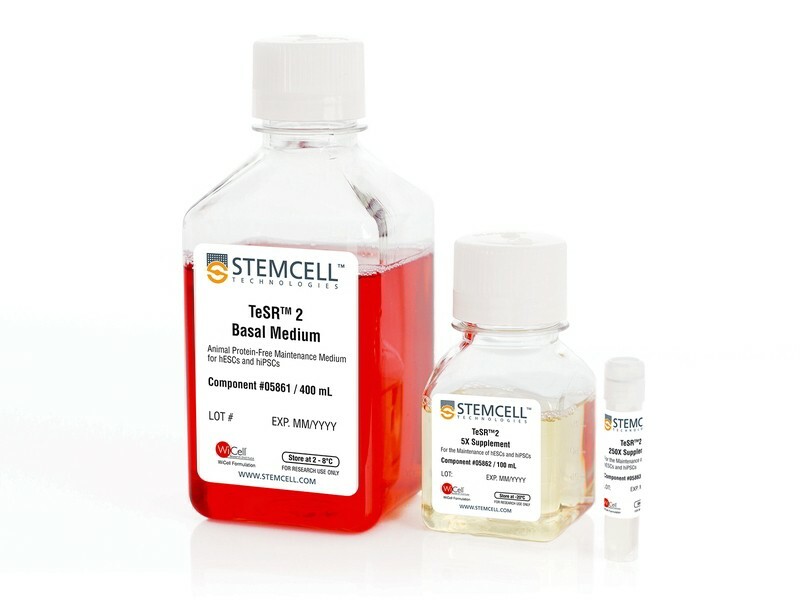 TeSR™2 is an improved version of mTeSR™1 which provides the same high-quality and robust system for feeder-free maintenance of human ES cells and iPS cells while enabling a more defined and xeno-free culture environment for basic research, stem cell banking, high-throughput studies and pre-clinical applications. 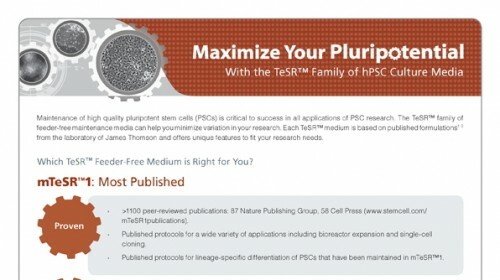 Closely related to mTeSR™1, the most-published medium for the culture of human ES and iPS cells without feeders, TeSR™2 combines the advantages of a feeder-free culture system with the added value of being free of xenogenic components. (A,B) Undifferentiated human ES (H9) cells cultured on Corning® Matrigel® matrix in TeSR™2 retain the prominent nucleoli and high nuclear-to-cytoplasm ratio characteristic of this cell type. Densely packed cells and multi-layering are apparent when cells are ready to be passaged. (C,D) H9 cells cultured under the same conditions in mTeSR™1 exhibit comparable morphology. Graph shows the average fold expansion per passage ± SEM obtained for human ES and iPS cells cultured in mTeSR™1 (brown) or TeSR™2 (red) with Corning® Matrigel® over 10 passages. Expansion was determined by counting the cell aggregates obtained at harvest and dividing by the number of cell aggregates seeded. Note: This data is representative of cultures passaged after 5-6 days in culture, lower expansion should be expected if using shorter culture times. H9 cells were cultured for 11 passages in TeSR™2, then injected subcutaneously into NOD-SCID mice. The resulting teratomas contained cell types from all 3 germ layers. Representative tissue types are shown. Histogram analysis for H9 human ES and WLS-1C human iPS cells characterized using flow cytometry for undifferentiated cell markers (SSEA-3 and OCT3/4) after passaging in TeSR™2 for 21 passages (WLS-1C) and 18 passages (H9) respectively (filled histogram = sample, hollow histogram = secondary antibody only). Chromosomal analysis of H9 hES cells cultured in TeSR™2 for 12 passages shows that normal karyotype is retained during passaging. Development and characterization of a human embryonic stem cell-derived 3D neural tissue model for neurotoxicity testing. Alternative models for more rapid compound safety testing are of increasing demand. 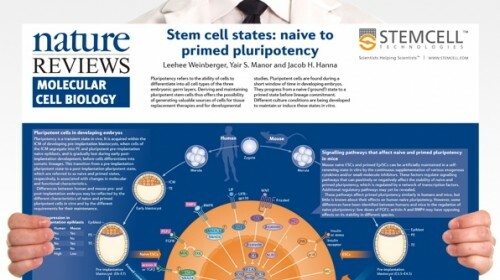 With emerging techniques using human pluripotent stem cells, the possibility of generating human in vitro models has gained interest, as factors related to species differences could be potentially eliminated. When studying potential neurotoxic effects of a compound it is of crucial importance to have both neurons and glial cells. 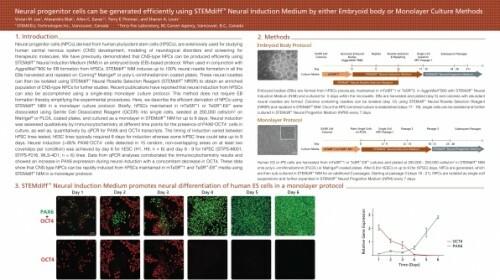 We have successfully developed a protocol for generating in vitro 3D human neural tissues, using neural progenitor cells derived from human embryonic stem cells. These 3D neural tissues can be maintained for two months and undergo progressive differentiation. We showed a gradual decreased expression of early neural lineage markers, paralleled by an increase in markers specific for mature neurons, astrocytes and oligodendrocytes. At the end of the two-month culture period the neural tissues not only displayed synapses and immature myelin sheaths around axons, but electrophysiological measurements also showed spontaneous activity. Neurotoxicity testing - comparing non-neurotoxic to known neurotoxic model compounds - showed an expected increase in the marker of astroglial reactivity after exposure to known neurotoxicants methylmercury and trimethyltin. Although further characterization and refinement of the model is required, these results indicate its potential usefulness for in vitro neurotoxicity testing. An Effective and Reliable Xeno-free Cryopreservation Protocol for Single Human Pluripotent Stem Cells. 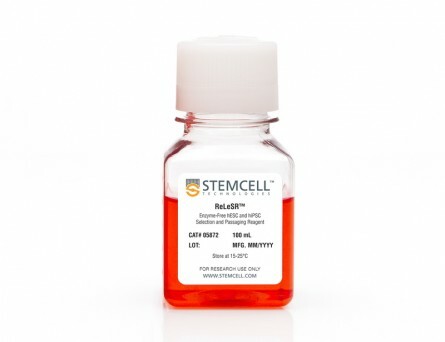 Efficient cryopreservation of human pluripotent stem cells (hPSCs) in chemically defined, xeno-free conditions is highly desirable for medical research and clinical applications such as cell-based therapies. Here we present a simple and effective slow freezing-rapid thawing protocol for the cryopreservation of feeder-free, single hPSCs. 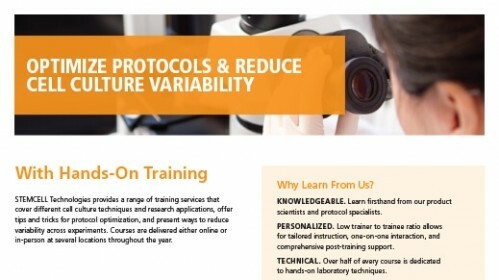 This cryopreservation protocol involves the supplementation of 10 &percnt; dimethyl sulfoxide (DMSO) and 10 &dollar;&dollar;M Rho-associated kinase inhibitor Y-27632 into two types of xeno-free, defined media supplements (Knockout Serum Replacement and TeSR2). High post-thaw cell recovery (˜90 &percnt;) and cell expansion (˜70 &percnt;) can be achieved using this protocol. The cryopreserved single cells retain the morphological characteristics of hPSCs and differentiation capabilities of pluripotent stem cells. 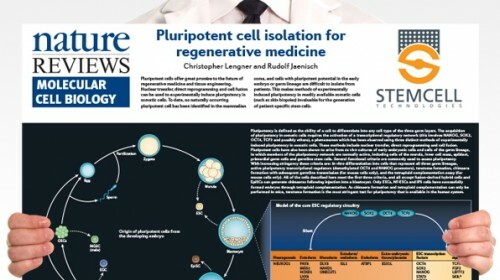 Efficient Expansion of Dissociated Human Pluripotent Stem Cells Using a Synthetic Substrate. 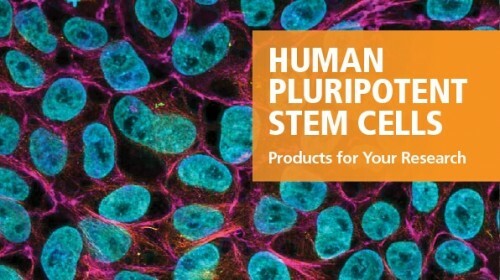 Human pluripotent stem cells (hPSCs), including human embryonic stem cells and human-induced pluripotent stem cells, are a renewable cell source for a wide range of applications in regenerative medicine and useful tools for human disease modeling and drug discovery. For these purposes, large numbers of high-quality cells are essential. Recently, we showed that a biological substrate, recombinant E8 fragments of laminin isoforms, sustains long-term self-renewal of hPSCs in defined, xeno-free medium with dissociated single-cell passaging. Here, we describe a modified culture system with similar performance to efficiently expand hPSCs under defined, xeno-free conditions using a non-biological synthetic substrate. Efficient Production of Photoreceptor Precursor Cells from Human Embryonic Stem Cells. Transplantation of photoreceptor precursor cells (PPCs) differentiated from human embryonic stem cells (hESCs) is a promising approach to treat common blinding diseases such as age-related macular degeneration and retinitis pigmentosa. However, existing PPC generation methods are inefficient. 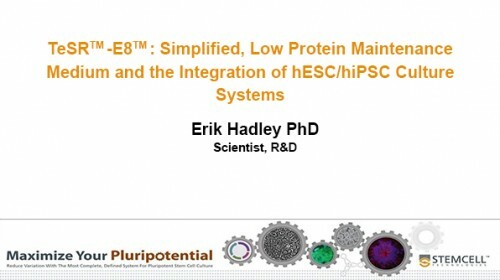 To enhance differentiation protocols for rapid and high-yield production of PPCs, we focused on optimizing the handling of the cells by including feeder-independent growth of hESCs, using size-controlled embryoid bodies (EBs), and addition of triiodothyronine (T3) and taurine to the differentiation medium, with subsequent removal of undifferentiated cells via negative cell-selection. Our novel protocol produces higher yields of PPCs than previously reported while reducing the time required for differentiation, which will help understand retinal diseases and facilitate large-scale preclinical trials. Cryopreservation of human pluripotent stem cells: a general protocol. Cryopreservation is an essential technique to preserve stem cells, semipermanently sustaining their potentials. 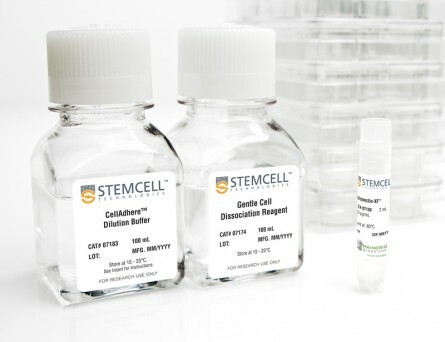 There are two main approaches of cryopreservation for human pluripotent stem cells (hPSCs). The first is the vitrification, which involves instantaneous freeze and thaw of hPSCs. The second is the conventional slow-cooling method and a rapid thaw. 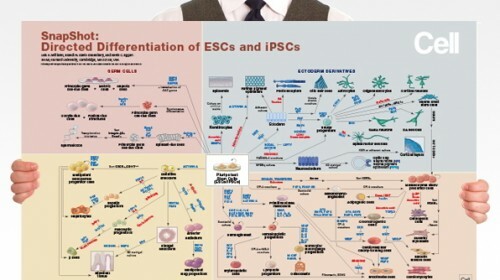 Both cryopreservation protocols have been standardized and optimized to yield high survivability of hPSCs.